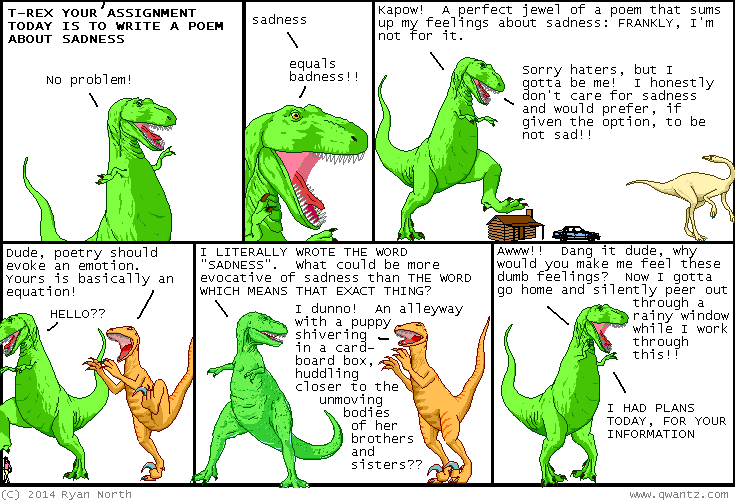 Dinosaur Comics - February 13th, 2014 - awesome fun times! February 13th, 2014: Hey my friend Oliver went on some dates for the newspaper and that means I get to embarrass him by linking to this article about him going on dates for the newspaper! !